Scott is a 19 year resident of Jackson Hole. At 56 years old he still enjoys participating and competing in a variety of sports and activities when he is not attending to his duties as Chief Administration Officer for the Jackson Hole Mountain Resort, a sponsor of team Jackson Hole. In addition, he has served the community in a variety of volunteer roles with Teton County Housing Authority Board, the Jackson Hole Cupboard and currently he is a Board of Director for S.T.A.R.T. When he is not on his bike, Scott’s athletic pursuits include Nordic ski racing, alpine and backcountry skiing. He regularly uses the gym, Pilates and yoga class to help prepare him for competition. 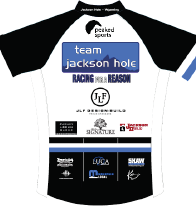 He is a strong believer in the Team Jackson Hole concept and feels that this effort to capture the energy of Jackson Hole athletes and channel it to community causes strengthens our community, the team and the individual athletes. With a background in Nordic skiing, distance running, and triathlon that began on the east coast. Scott continues to compete at a variety of skate ski races throughout the winter. The former Pennsylvania Cross Country Ski Association champion has regularly finished with the top of his age group in the Yellowstone Rendezvous (2012 – 4th place 55 -59 age group), Boulder Mountain Tour, Moose Chase, and the Steamboat Stampede. Although still relatively new to competitive cycling, he is a five time finisher in LOTOJA, and is proud of his 4th place podium finish in 2012.